Before he served in Vietnam, author Winston Groom says he wanted to write but didn't have anything to write about. Going to war changed things. "Any experience like that, I mean, it's like being in a year-long car wreck," he says. "It's traumatic. ... And I thought, Well, at least I've done this. Let's see if I can make some sense of it. And I wrote my first book, called Better Times Than These, and it did well and I was off and running." Groom wrote two more books about Vietnam before he started the story that would make him famous: Forrest Gump. The novel follows an intellectually-disabled, kind-hearted man who is witness to big events in American history. Eight years after Forrest Gump was published, its Oscar-winning film adaptation (starring Tom Hanks) turned it into a best-seller. And that's when Groom took a break from writing fiction. "I think that every novelist of the kind of novels that I write has in them maybe one really good book," Groom says, "but the trouble with so many novelists is that they keep on writing novels even when they run out of ideas. ... So I was thinking, after the commercial success of Forrest Gump, that I didn't really have any ideas that really grabbed me." So Groom turned to history. He wrote non-fiction books about the Civil War, the American West, World War I, World War II, the history of aviation and the history of Alabama football. But there was one idea for a novel that stuck in Groom's head: He says a friend, Eddie Morgan (a distant relative of the late J.P. Morgan), used to talk about his family's million-acre cattle ranch in northern Mexico, and how Pancho Villa attacked it in 1916. Groom says Villa had the ranch manager sabered to death and then kidnapped his children. "It just occurred to me that I could make something of this," Groom says. 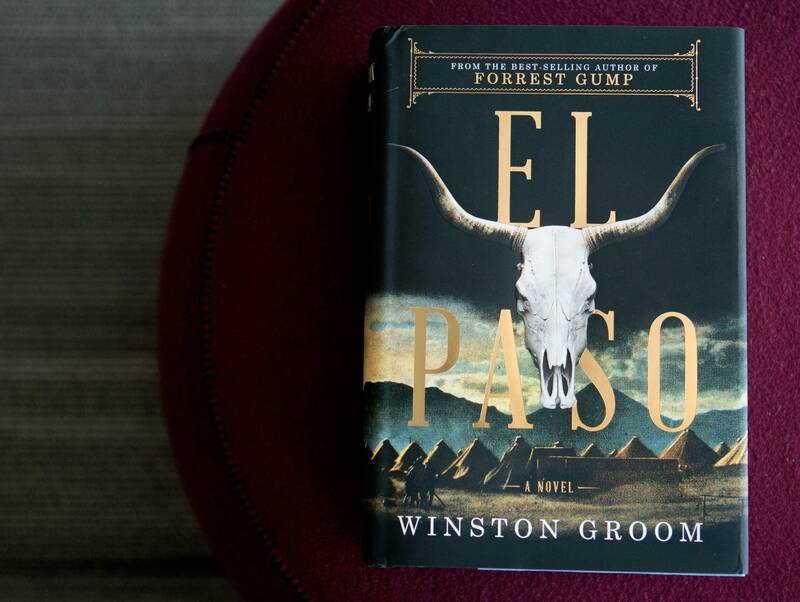 And he did: Groom's first work of fiction in almost 20 years is a sprawling, 400-plus-page novel called El Paso. It takes place during the Mexican Revolution and follows a railroad tycoon on a manhunt across the High Sierras to rescue his kidnapped grandchildren from Pancho Villa. The book's made-up characters interact with historical figures a lot like they did in Forrest Gump: Lt. George S. Patton leads his troops into Mexico in pursuit of Villa and sympathizers show up in Villa's camp, including the cowboy movie star Tom Mix, the Socialist journalist John Reed and the Civil War writer Ambrose Bierce. Bierce was pondering this when Villa stuck the derringer between Bierce's eyes and pulled the trigger. Groom has filled in history's blank spaces with fiction, but William Giraldi, who writes about literature for The New Republic, says nothing in the novel seems phony. "The kind of viciousness and bloodshed you see in El Paso is true to this time and to the kind of conflict that you see playing out when the revolutionary meets the capitalist," Giraldi says. "Blood will happen." Above all else, Groom says, he wants to entertain his readers. "I want them to go away saying, 'That's a hell of a good story. ... And if nothing else, I got to learn about what was going on in northern Mexico and in the United States around the year 1916.' "
At 73, Groom doesn't consider writing "work" anymore — and given the success of Forrest Gump, which has sold 1.7 million copies worldwide, he doesn't have to.